Helping US and international taxpayers since 1999. Taxation of business entities and international tax are Tatiana’s areas of expertise. She has a passion for helping you understand the tax implications of your business decisions. Tatiana is authorized to represent taxpayers before the IRS. She is the person to talk to if you receive an audit notice, but, more importantly, she’s the person to help you avoid an audit in the first place. Tatiana will review your business activity for compliance with various tax law and regulations.For US taxpayers residing and working overseas, Tatiana can prepare tax returns and offer tax related advice. Tatiana can assist non-US taxpayers in tax aspects of their US activities. 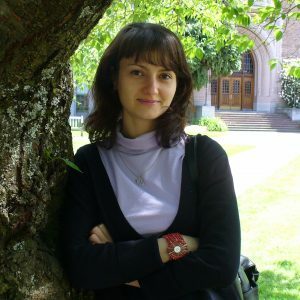 Tatiana earned her MBA at the University of Washington and has a Masters in taxation from the Washington Institute of Graduate Studies. Always eager to improve and learn, Tatiana is currently pursuing her doctorate in taxation. Tatiana is an NAEA Enrolled Agent and a QuickBooks Advanced ProAdvisor. Nina is our payroll guru. She will compute payroll and payroll taxes, will file required returns, will explain payroll intricacies to you, and will make sure that your business does not make costly mistakes in paying your employees. Nina is very knowledgeable about QuickBooks and will be happy to assist you in setup, training, and general QuickBooks usage. Nina is a Certified QuickBooks ProAdvisor. Alexsandra’s professional passion is taxes. Alexsandra is a registered paid return preparer recognized by the IRS. She keeps up to date on the latest developments pertaining to individual taxation. Alexsandra is the person to talk to minimize your tax responsibilities and optimize all available tax deductions and credits. For example, Alexsandra can assist you with one-person business owner taxation questions. She can also guide you through changing regulations with regard to sole proprietors. Alexsandra is a Certified QuickBooks ProAdvisor. 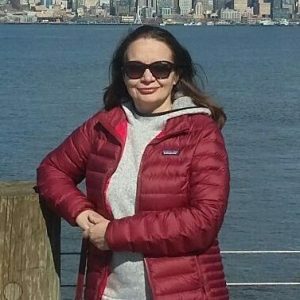 Valeriya, our office coordinator, is the person to contact if you have questions about e-filing, billing, payments, passwords, or any of the services that we offer. She can provide you with copies of tax returns or any other documents that we have prepared for you and/or your business. Whatever your needs, you will find Valeriya very supportive and reliable. Anna is our Sales/ Use Tax and Payroll specialist. She also specializes in all payroll related tax reporting requirements, such as WA ESD and WA LNI reports. She is dedicated to ensuring that no one misses a deadline on her watch. Please contact Anna to ensure all employees are paid on time and in full. In addition, Anna stands ready to answer any of your questions regarding Billing. We’re helping people worldwide, but if you are in the Greater Seattle area, give us a call – we’ll be glad to meet you in person!